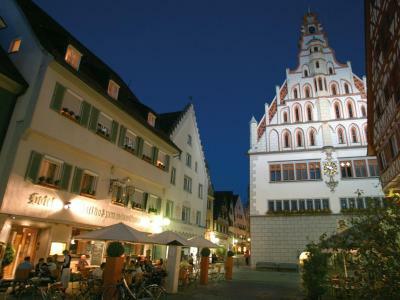 Lock in a great price for Hotel Restaurant Grüner Baum und Altes Tor – rated 8.1 by recent guests! very nice location , very comfort stay, enjoy my stay there. Good breakfast in the main building, Gruner Baum. I didn't realize that Altes Tor is a separate building located one block away from the main hotel. Cozy atmosphere The hotel is based in the center of the city. Right in the beautiful centre of Bad Waldsee, very good breakfast, very clean, smells good, comfortable, just a very nice and relaxing stay! Frühstück war gut und reichlich. Abendessen reichlich und geschmacklich sehr gut. Lage und Frühstück hervorragend. Das Personal sehr freundlich und hilfsbereit. Das Zimmer (Nr. 8) war geräumig, sehr gut ausgestattet und insgesamt in einem sehr gastfreundlichen, gepflegten Zustand. Die Mitarbeiterinnen und Mitarbeiter (Rezeption, Service) waren sehr freundlich und zuvorkommend. Das Hotelrestaurant war bezüglich Küche und Service einwandfrei. Es hat alles gepasst. Sehr schönes Zimmer .Frühstück sehr gut. Haustierfreundlich. Komme gerne wieder. Die Lage war gut. Das Personal bei der Abreise war sehr zuvorkommend, verständnisvoll und entgegenkommend und kein Vergleich zum äußerst unfreundlichen Empfang bei Anreise . Hotel Restaurant Grüner Baum und Altes Tor This rating is a reflection of how the property compares to the industry standard when it comes to price, facilities and services available. It's based on a self-evaluation by the property. Use this rating to help choose your stay! 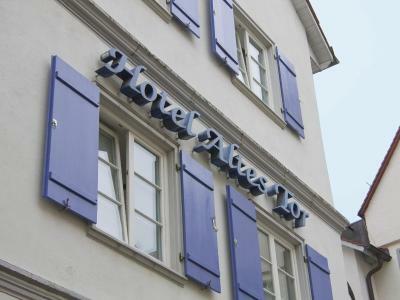 Hotel Restaurant Grüner Baum und Altes Tor has individually furnished themed rooms with all modern amenities. The hearty breakfast buffet at the Grüner Baum und Altes Tor is a great way to start the day. In the elegant Grüner Baum restaurant, enjoy fine cuisine. During warmer weather, take your dinner on the terrace in the courtyard, or find a seat on the restaurant’s tables on the picturesque marketplace. 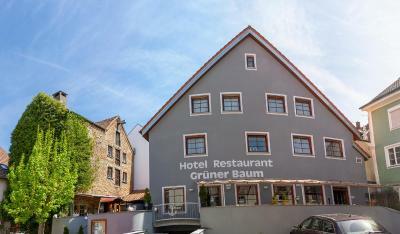 When would you like to stay at Hotel Restaurant Grüner Baum und Altes Tor? House Rules Hotel Restaurant Grüner Baum und Altes Tor takes special requests – add in the next step! All children from 6 to 12 year are charged EUR 20 per night for extra beds. All children from 12 to 16 year are charged EUR 25 per night for extra beds. Hotel Restaurant Grüner Baum und Altes Tor accepts these cards and reserves the right to temporarily hold an amount prior to arrival. Please note that check-in takes place at the reception in the hotel's main building, located at Hauptstrasse 34. Breakfast is also served here. 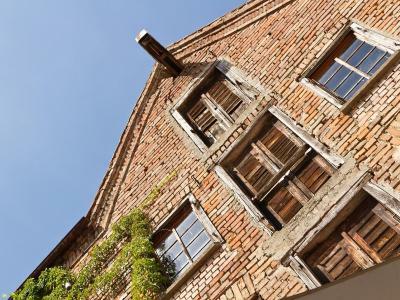 For guests arriving by car and using a GPS navigation system, the address to enter is Wettgasse 7. No elevator. adequate parking is too far away about 300 meters. No elevator, lots of stairs. No airco or vent in our superior room, with the sun shining on it all afternoon the room feels as hot as a oven. Complaining wont help. Getting here by car is almost undoable, garmin aswell as google lost their way. Breakfast is poor, we 've seen much better along our way. Obvious the restaurant is their main bussines. The shower was oke, enough towels. The room was located in a separate building that was under renovation. Should not really be renting the room under these conditions. Accommodation in a different buulding than reception and breakfast. Breakfast had poor selection and was very busy.